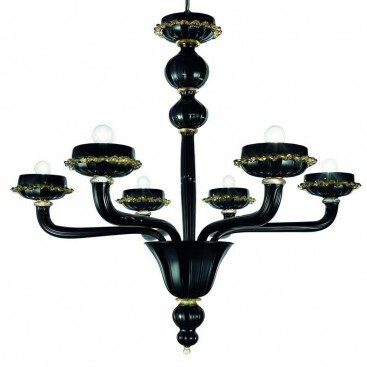 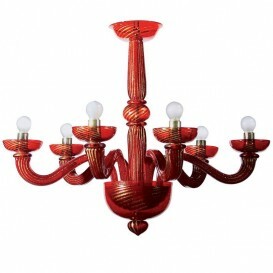 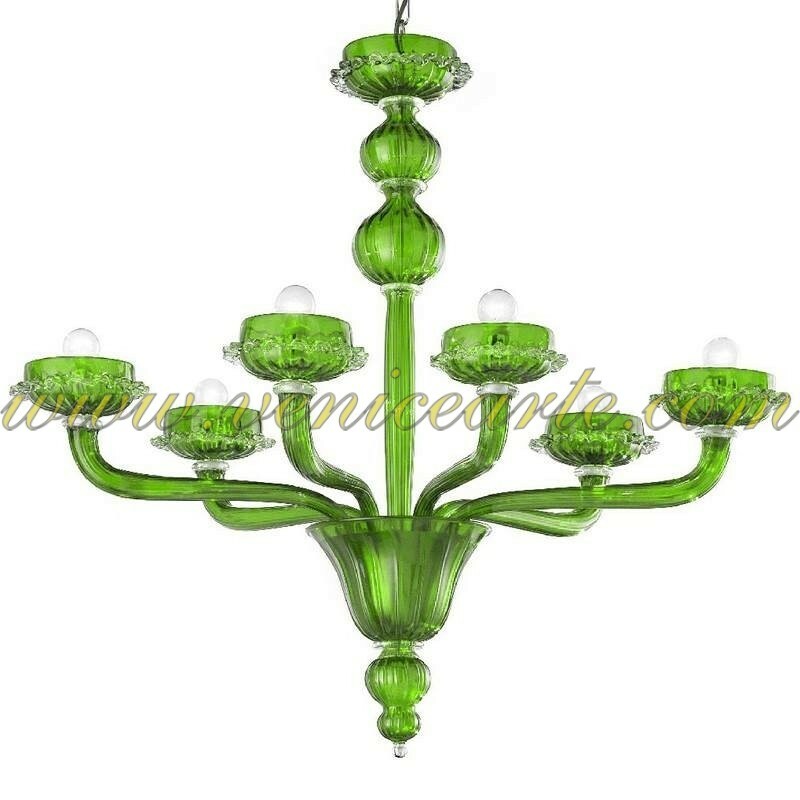 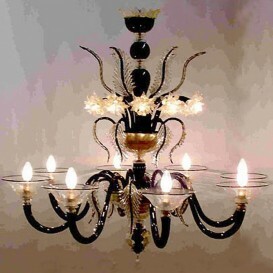 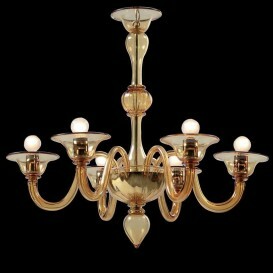 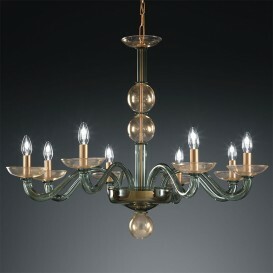 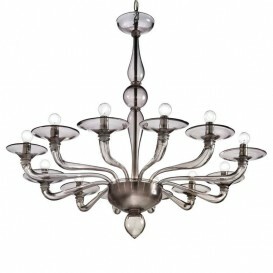 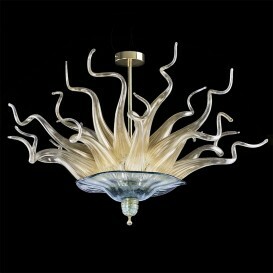 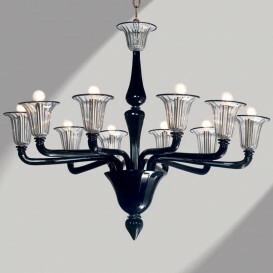 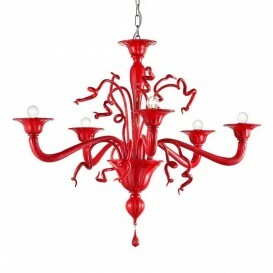 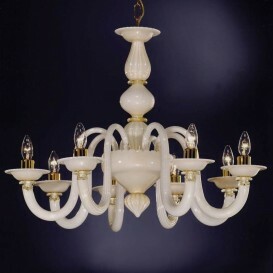 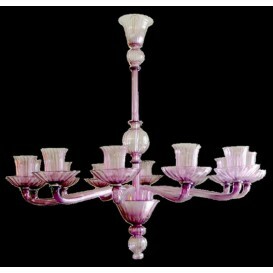 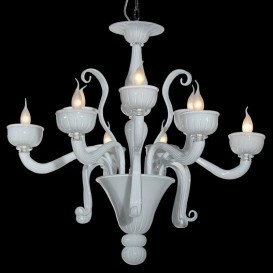 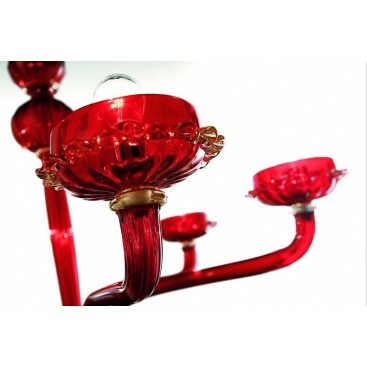 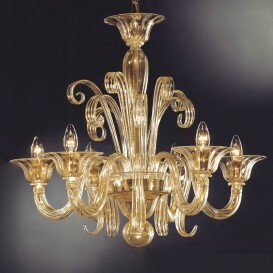 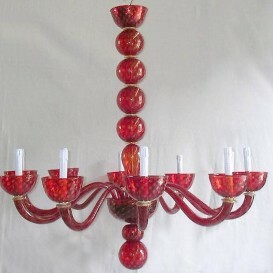 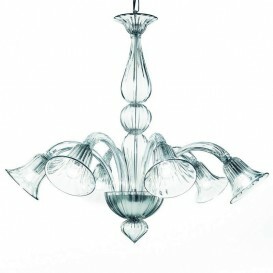 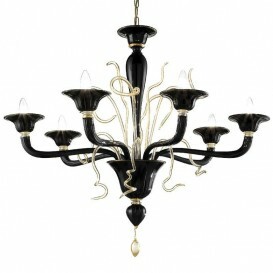 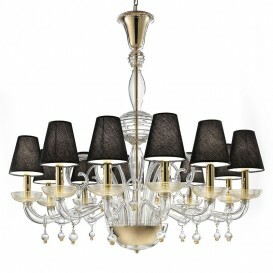 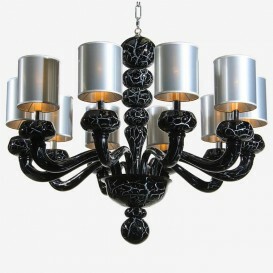 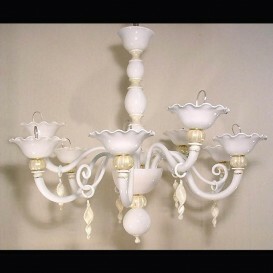 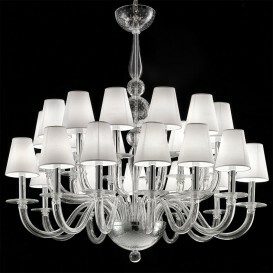 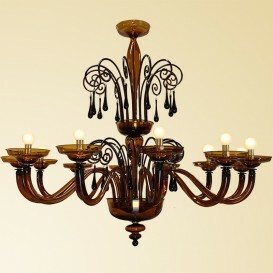 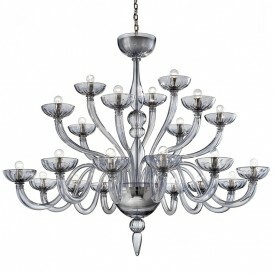 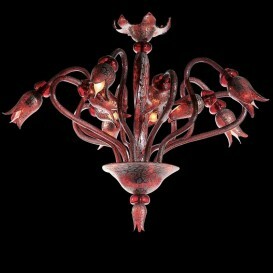 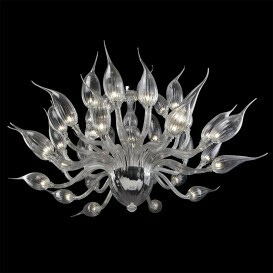 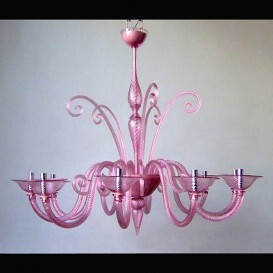 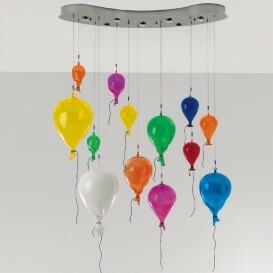 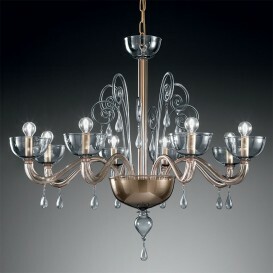 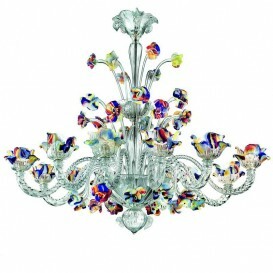 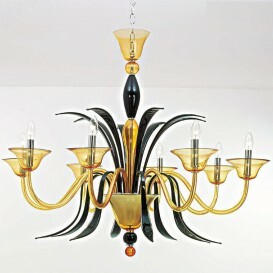 The refined main structure of this Venetian glass chandelier is decorated with the round shapes of unsurpassed quality. 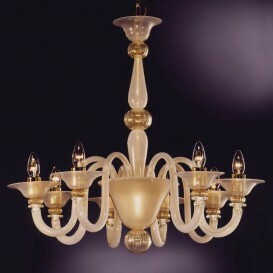 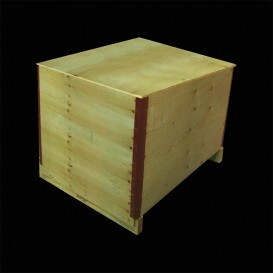 The spirals and curved lines provide this piece a highly unique appearance. The best aspect is the beautiful semi-translucent color which makes it perfect for a weight and black room to balance the shadows of your dinning room. 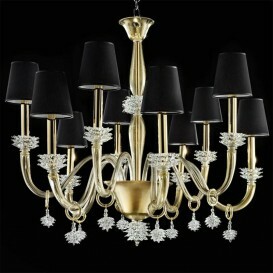 Elegant, exclusive and appealing silhouette.